Compiled by Santanam Swaminathan; Post No 742 dated 11th December 2013. 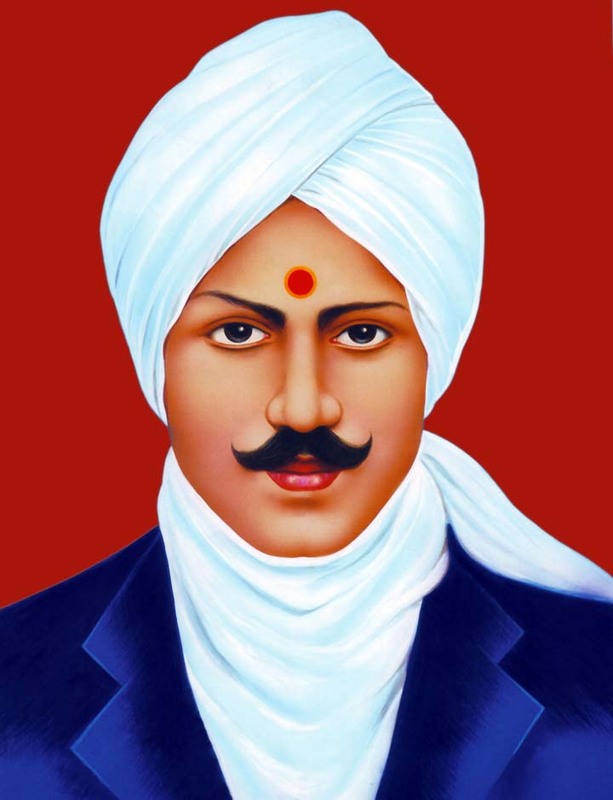 Bharathiyar was born on 11 December 1882; Died on 11th September 1921. 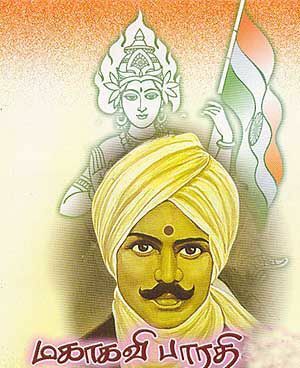 “Bharati is not only the poet of Tamil Nadu, he belongs also to the whole of India. His verses should be published in all the languages”—Jawaharlal Nehru, First Prime Minister of India. (Bharati was influenced by English poets Shelly and Byron. Later he changed his name from Shelly Dasan to Shaktidasan). 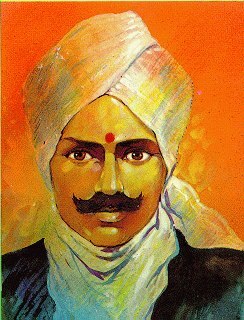 Bharati was the greatest of the modern Tamil poets. No one has surpassed him in the past 125 years. 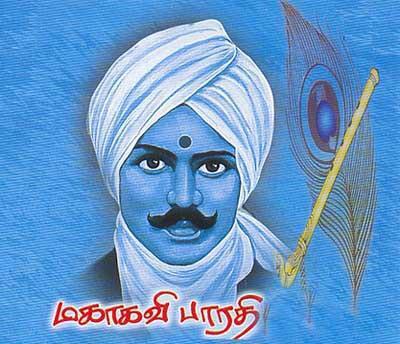 He was a great patriot, devoted Hindu and ardent supporter of Tamil Language. His poems touch all the subjects from Astronomy to Zoology. His poem on Halley’s Comet is beautiful. He has sung about all the domestic animals. He composed poems on world leaders like Mazini and Indian freedom fighters such as Gandhi, B.G.Tilak and Dadabai Nauroji. 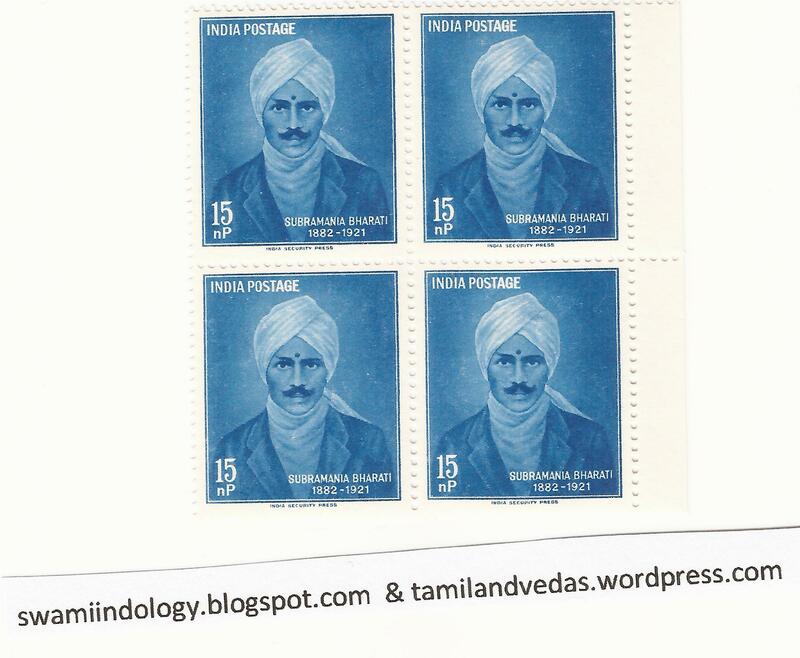 All Tamil poets and greatest Sanskrit poet Kalidasa– are all in his poems. His poems are vast. No one can translate his poems. The beauty of his pomes is lost in translation. But for Non Tamils it will give some idea about his poems. He was rightly called Amara Kavi ( Immortal Poet). He knew Tamil, English, French, Hindi and Sanskrit. Here are some samples from ‘Bharati Patalkal’ published by Tamil University, Thanjavur, Edited by Sekkizar Adippodi Dr T N Ramachandran. It contains English translations of Bharati poems by several eminent writers including Dr TNR. Who can hazard a guess? What happened in the days of yore. For ever in virgin bloom. Throb with one vibrant life. *When Bharati composed this poem the population of India was 300 million. The wise talk of your myriad marvels. Of sages, the essence and core. Smite them and kick them, oh my child! And lo, at their face you shall spit. To quell all troubles oh my child!